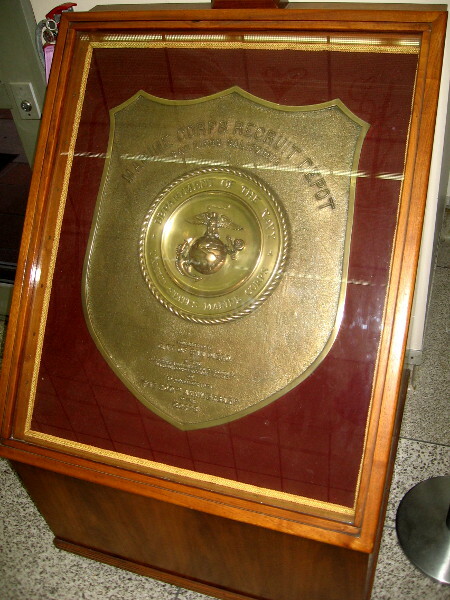 Marine Corps Recruit Depot brass plaque at City Hall. – Cool San Diego Sights! Marine Corps Recruit Depot brass plaque at City Hall. A large plaque presented by the Marine Corps Recruit Depot to the City of San Diego commemorates the 200th Anniversary of the United States Marines. A couple mornings ago, when I visited the San Diego City Administration Building’s lobby, I noticed a large brass plaque in a glass display case against the east wall. The shining badge-like plaque is several feet in length. 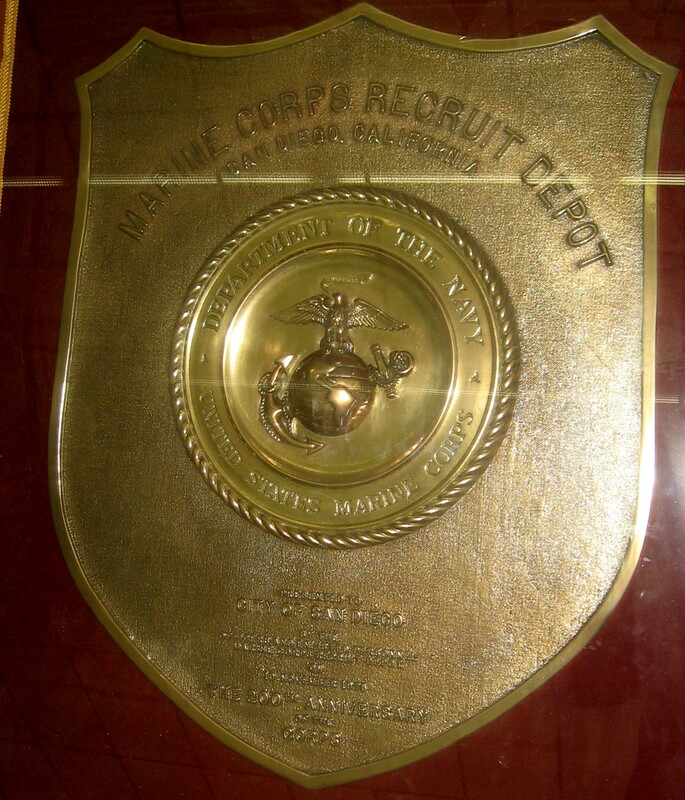 I’ve searched the internet for information regarding this fantastic Marine Corps Recruit Depot plaque, but have found nothing. Does anyone know its history? Where was it made? Was it presented to the City of San Diego back in 1975 during a special ceremony? Has it always been on display inside City Hall? Please leave a comment if you have any additional information! A closer photo of the shining brass plaque, which is on display inside the lobby of the San Diego City Administration Building. Previous Previous post: Historical exhibit features archives at City Hall. Next Next post: Learning about archaeology in San Diego!